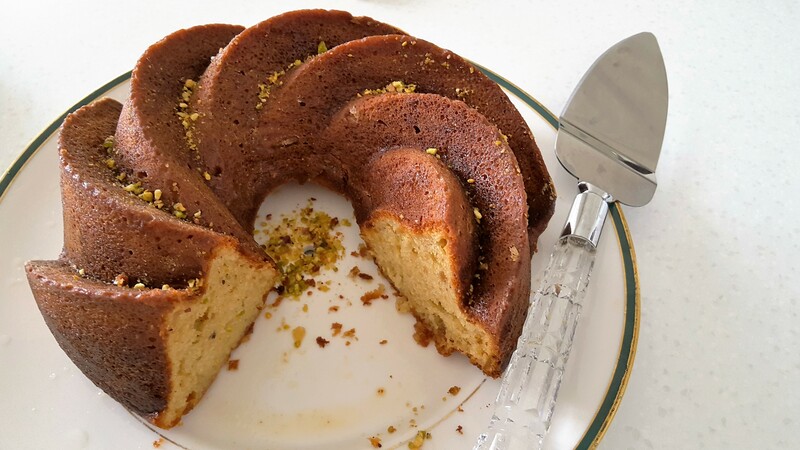 Who can resist a slice of moist, pistachio cake with yoghurt drizzled with a sweet lime and honey? I certainly can’t since as soon as this cake is out of the oven, I start to get a bit impatient. 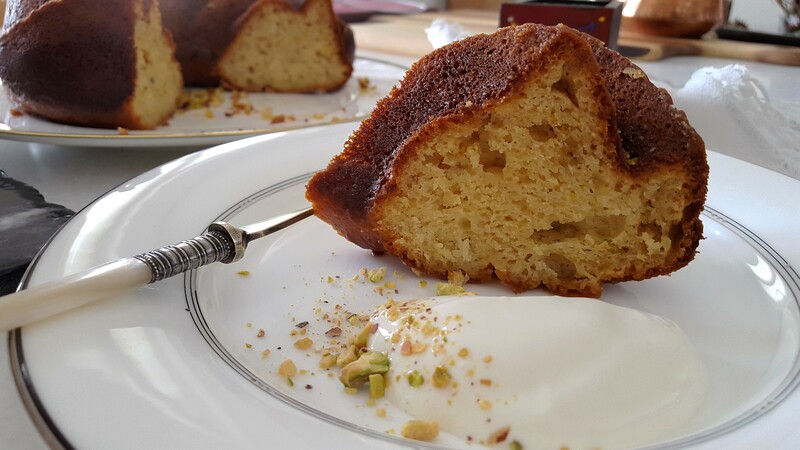 This really moist and light cake reminds me of the Mediterranean and in particular Morocco. It takes me back to the warm Arabian skies and evening wondering in the open Jemaa el Fna market. Bursting with food galore everywhere such a great atmosphere. 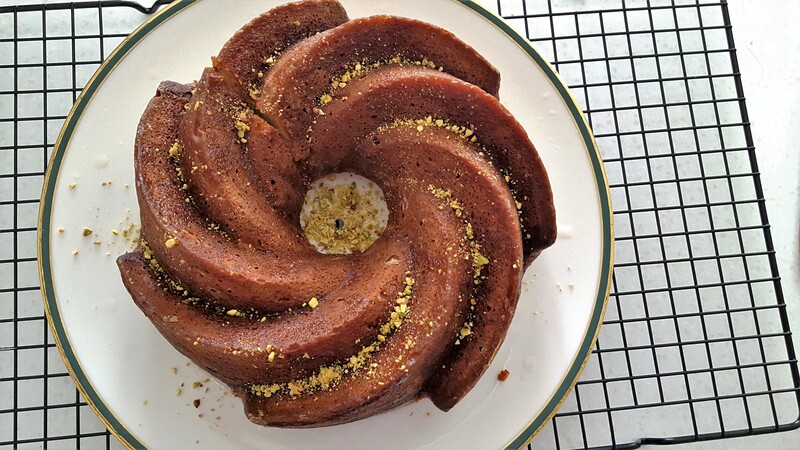 Infusing these ingredients together I have made this super easy cake to enjoy on a lovley afternoon or anytime with a warm cup of tea. 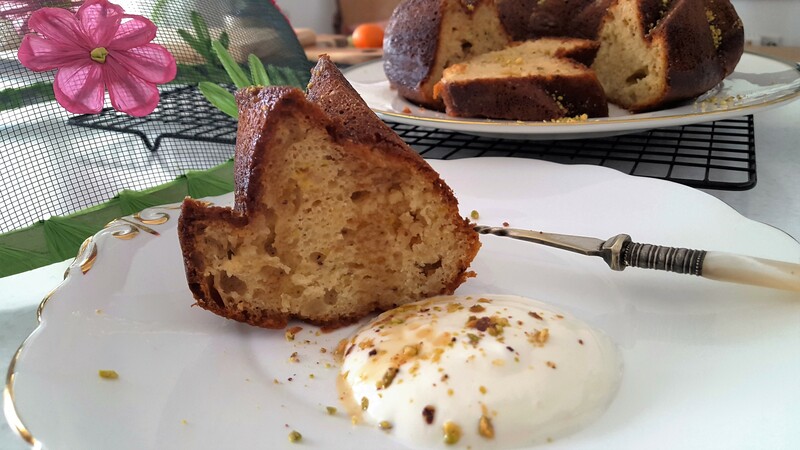 This cake can be served as dessert with honey yoghurt and maple sirop. Preheat the oven to 180C. Butter and dust with flour a 9 inch Bundt cake tin, making sure all the grooves are well greased and dusted with flour. Sieve flour, salt, almond and baking powder in a bowl and set aside. Gradually start the incorporate the dry flour mixture until well combined. Pour the mixture into the prepared tin, smooth the surface and bake in the oven for 35- 40 minutes or until a skewer inserted into the middle comes out clean. If not cooked put back in the oven for another few minutes. Remove from the oven and allow the cake to cool in the tin for about five minutes before removing. Cool completely on a wire rack before serving. In a small saucepan, bring some water to the boil, add the honey, sugar and lime. Leave to simmer until reduce and the sugar has fully dissolved leaving a sirop consistency liquid. 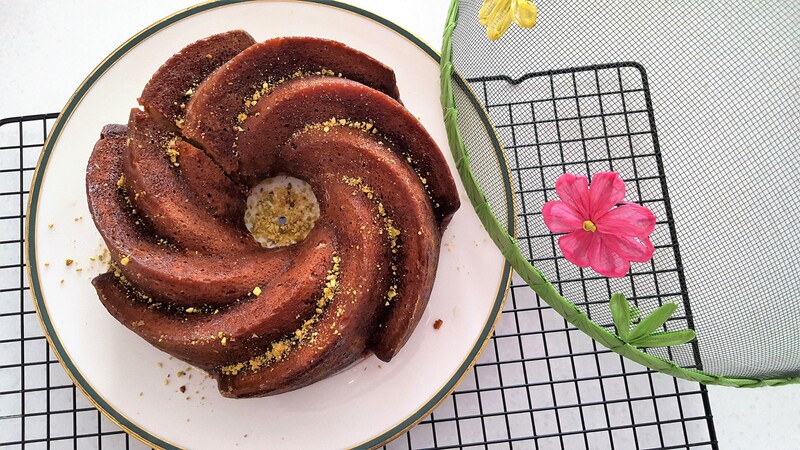 Drizzle the sirop onto the warm cake making sure you cover in between the grooves. 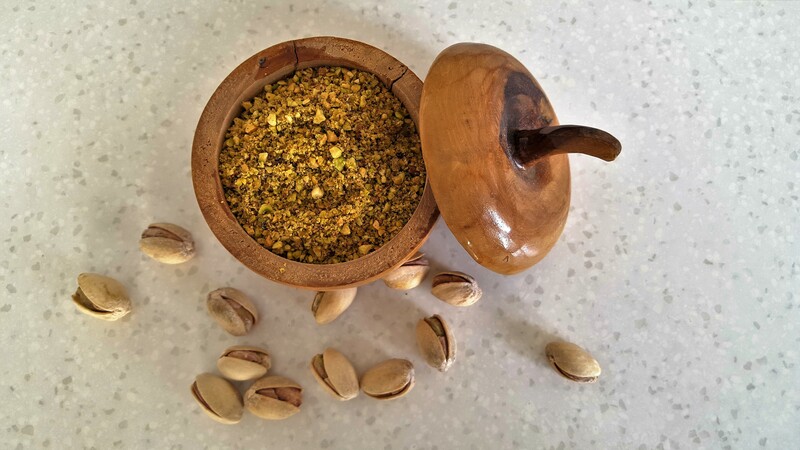 Serve with a spoonful of Greek yoghurt with honey and sprinkle of crushed pistachios. Brinda’s Note: Serving with yoghurt is optional, you can substitute with Mascarpone cheese.